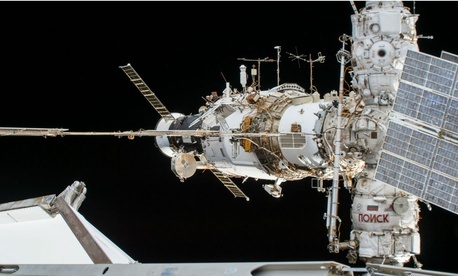 The astronauts eventually traced the leak to a two-millimeter hole in the hull of a Soyuz capsule, a type of Russian spacecraft that delivers people to and from the ISS. Since the American Space Shuttle ended in 2011, Russia offers the only transportation option to the station. The capsule had arrived in June, carrying a Russian cosmonaut, an American astronaut, and an astronaut from the European Space Agency.